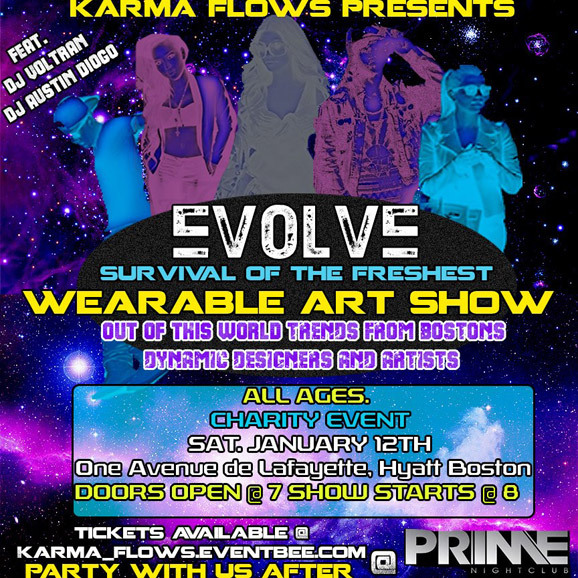 Karma Flows Presents: Survival of the Freshest - Evolve: Wearable Art Show. 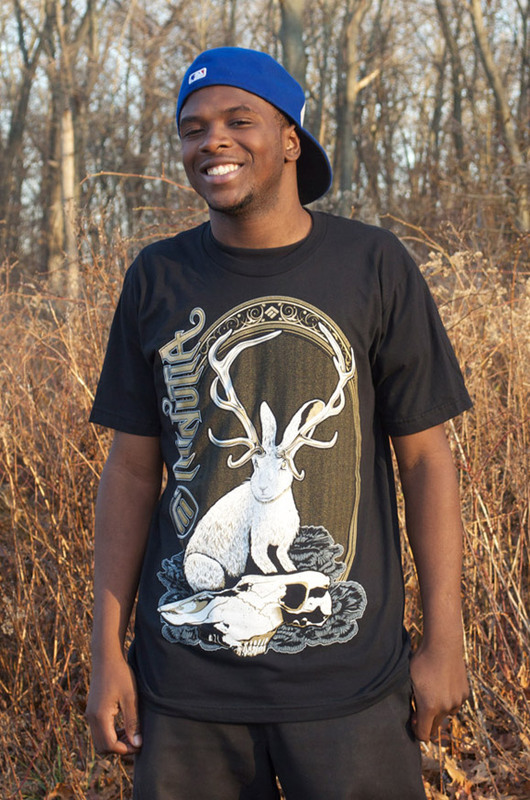 Come check out bostons latest steez and skills from out of this world threads to dynamic designs. ALL PUT TOGETHER BY LOCAL ARTISTS. 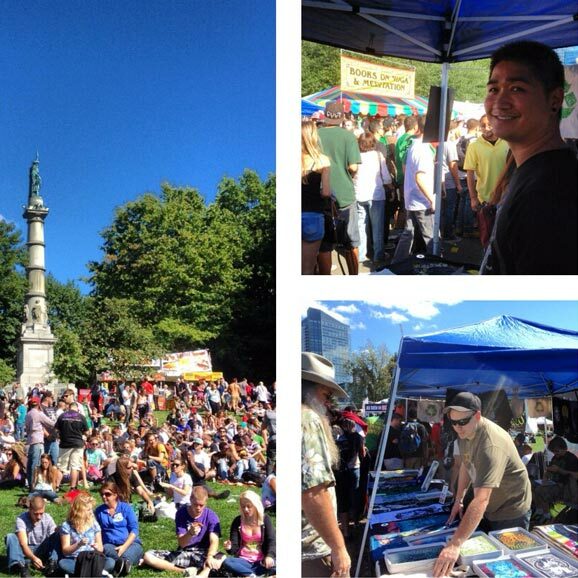 Had a fun and successful day at this year's Boston Freedom Rally. Don't forget to vote Yes on Question 3! 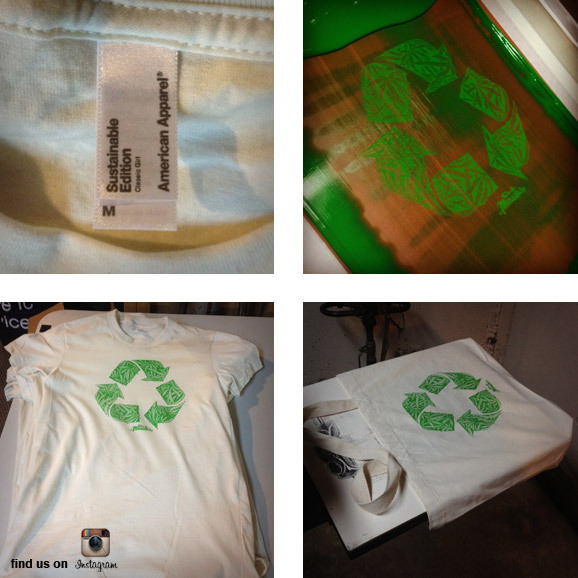 Til then, here are some progress shots on the new design that we did for the Freedom Rally. Repetitiveness = practice and practice = improvement! place. So I switched to my tools of choice (vellum and liner pens). I wanted each set of arrows different. how many times I kept drawing... layers over layers... over layers. Eventually I got it to a place where I was happy. So I scanned it in and vectorized it in Adobe Illustrator. 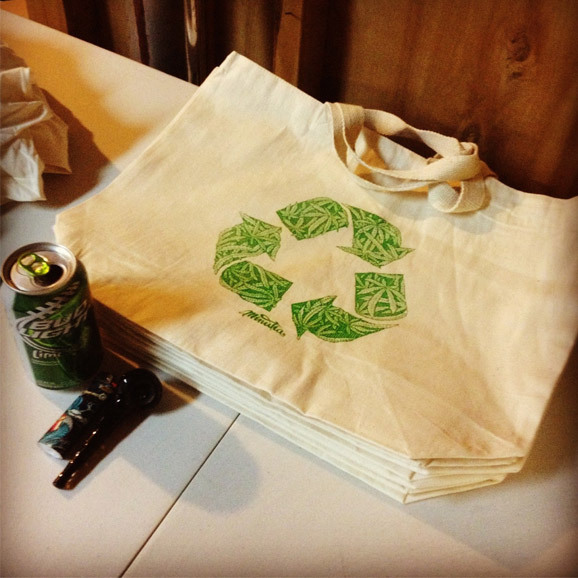 totes. 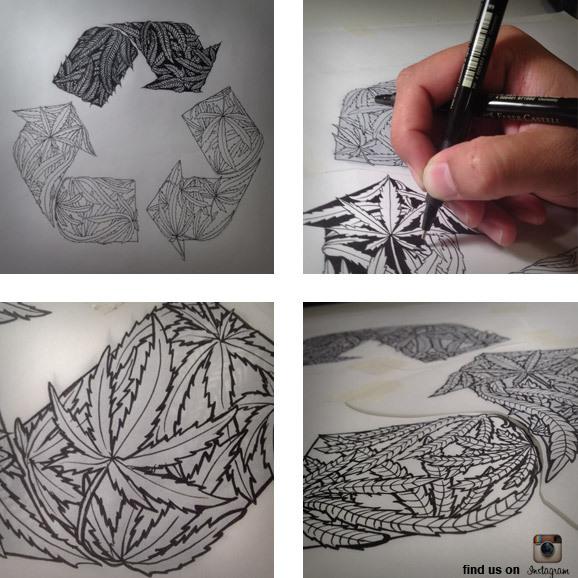 To keep up to date on new art, follow us on instagram! 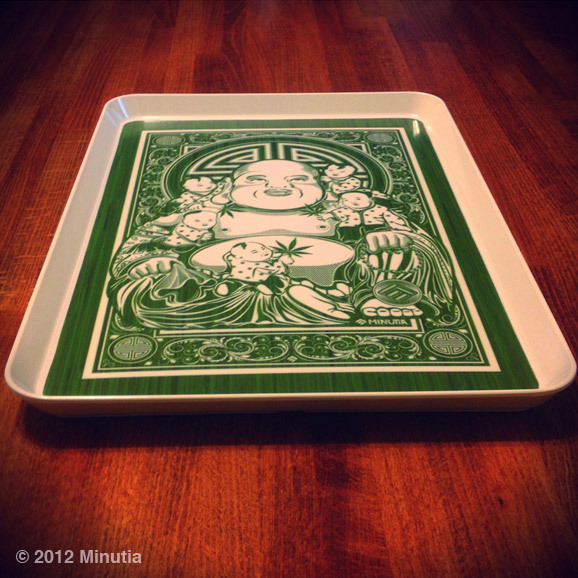 trays can last you a lifetime! Don't smoke? 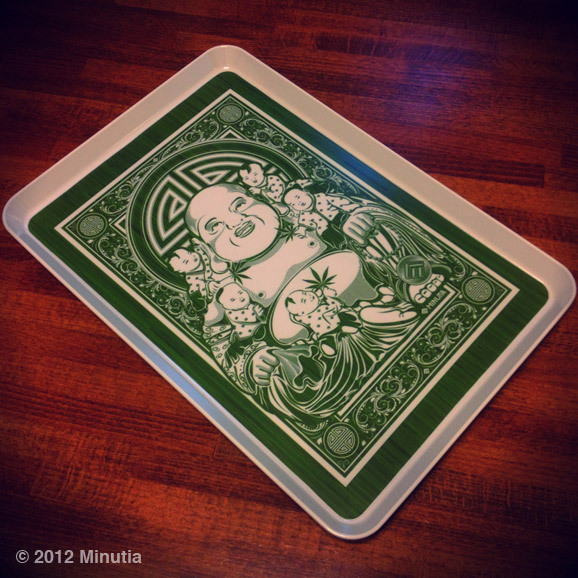 They are perfect for jewelry, change, & munchies! Only $25! 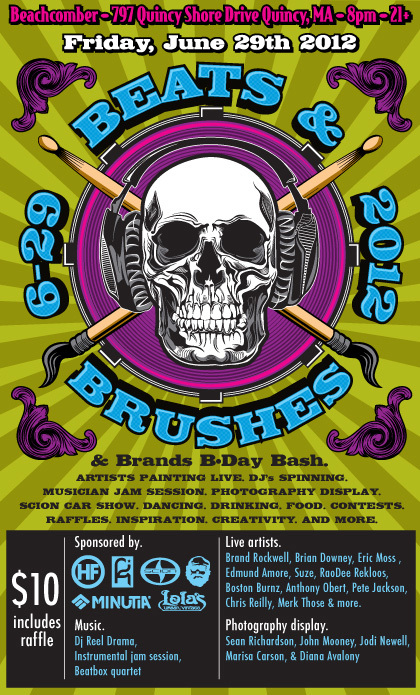 Come to the Beachcomber in Quincy, right across from Wollaston Beach for our second annual Beats & Brushes. There will be live music, live art, & more. 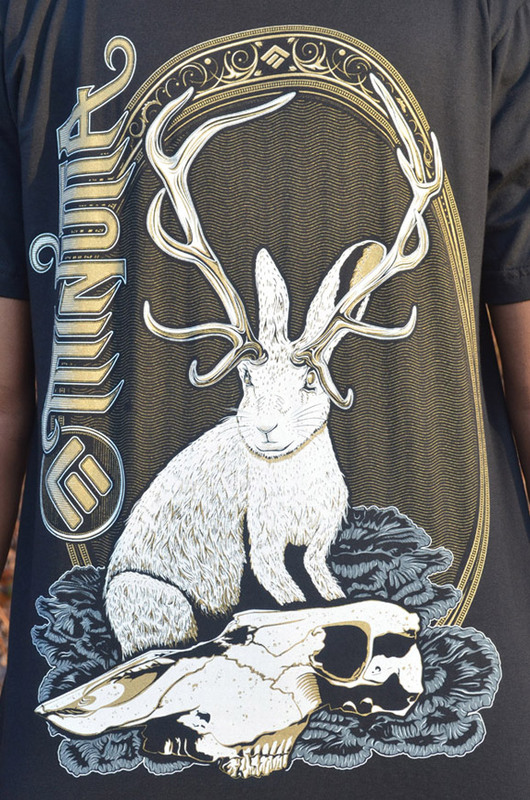 We'll also be debuting something new that is neither skate or apparel. Stay tuned for pics and updates! 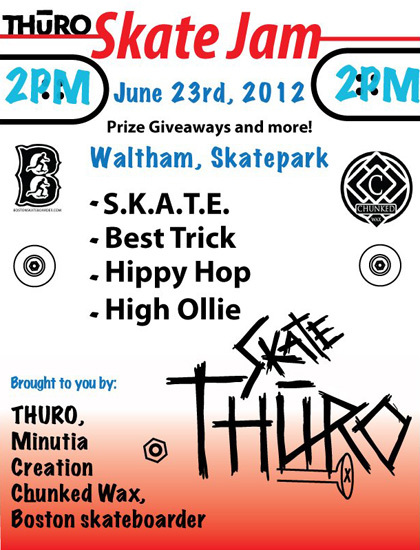 Come to the Waltham Skate Park this Saturday. We'lll be sposoring a skate jam with Thuro Shop located in Brookline, MA. Lot's of prizes to be won! Be there at 2pm for registration! 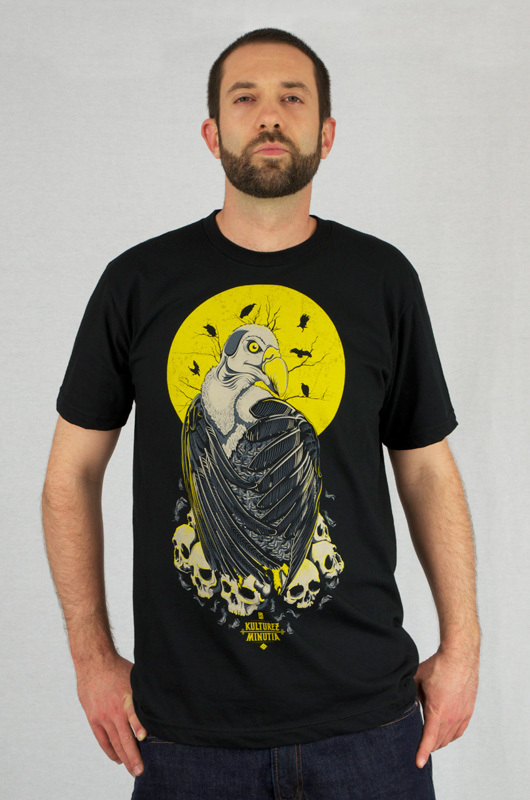 Here's a highly detailed take on the Kulturez Vulture, a design I came up with as a collaborative piece for Kulturez Dynasty in Cambridge, Massachusetts. Located only minutes from Boston, this shop carries skate, graffitti supplies, and streetwear from local, Boston-based brands. 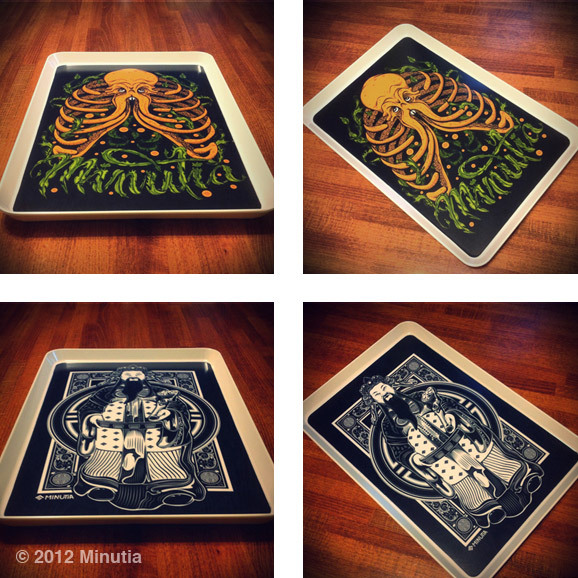 Find Minutia on Instagram to check out some work in progress shots. My parents had a couple of these guys around the house that I grew up in. 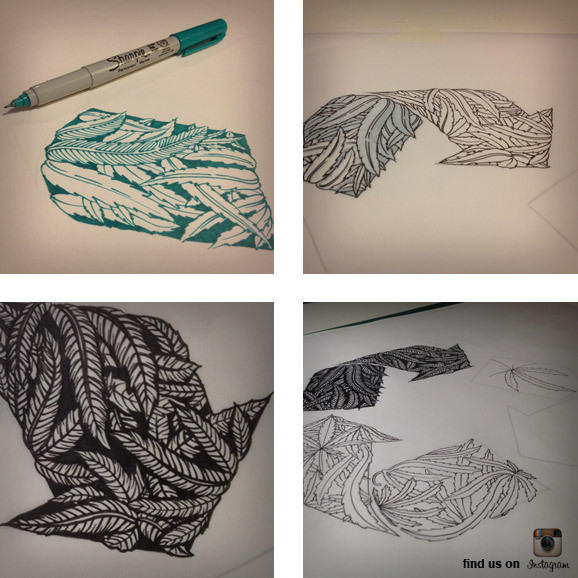 I actually started this design on my iPad using a cool vector program called Inkpad. It's nice being able to draw from my couch again. 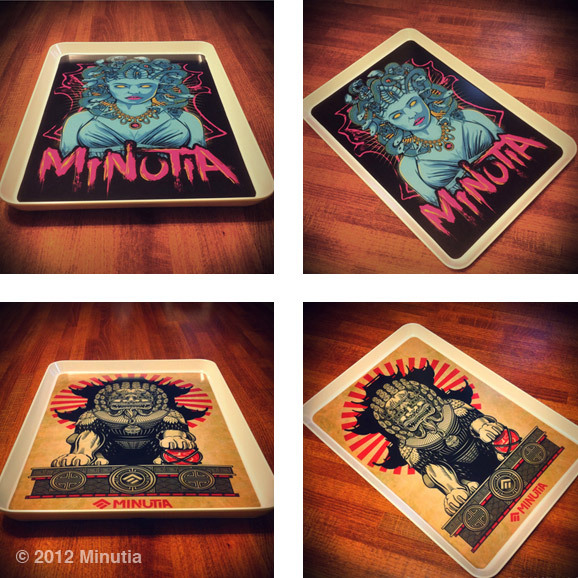 Find us Minutia on Instagram to check out some work in progress shots. Hope you guys all had a great new year! 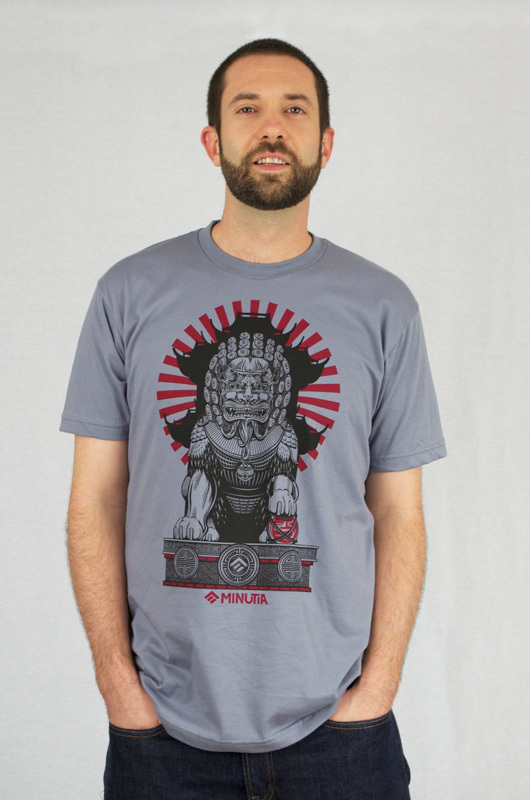 We've got a couple new items available on our online store. Check them out!